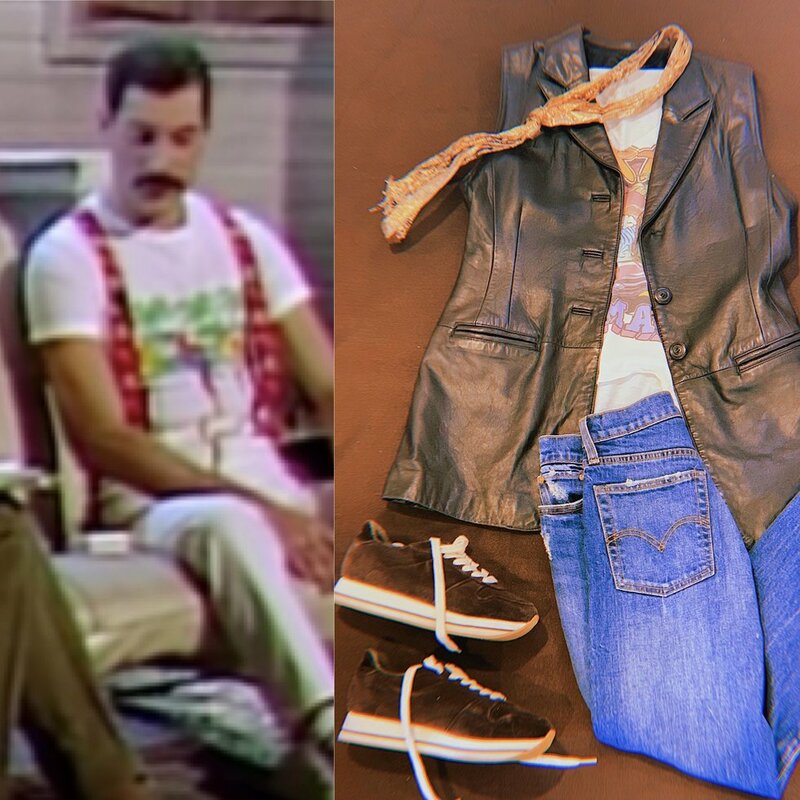 Throwing it back with a fashion frenzy in the wake of the release of "Bohemian Rhapsody." Since the release of the epic new film "Bohemian Rhapsody," Queen fans (both old and new) have been obsessing over icon Freddie Mercury. 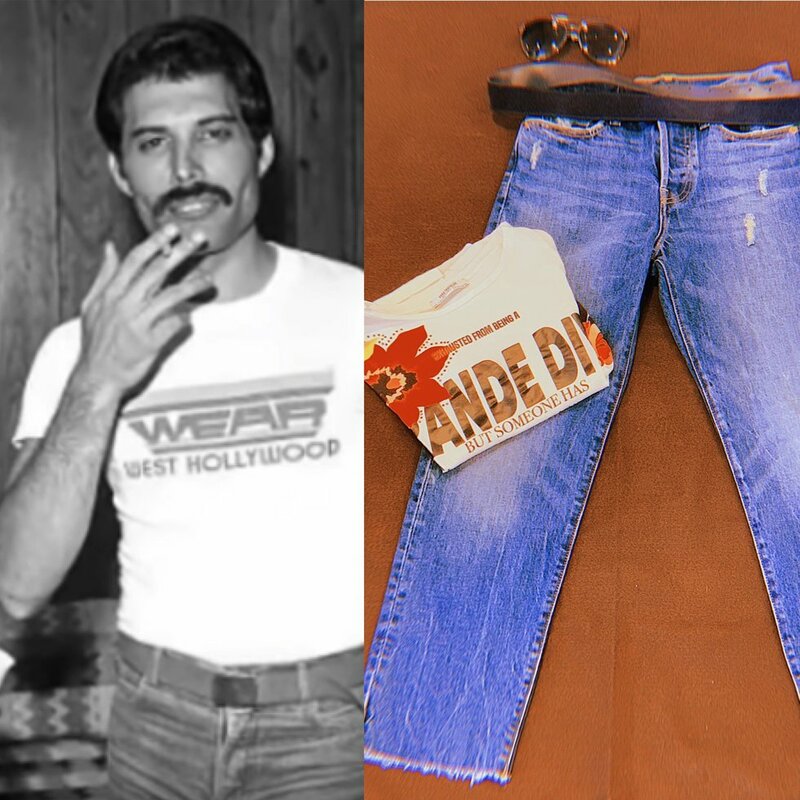 While watching the film, I could not help but envy his fabulous style - he was able to pull of vibrancy, casualness, and confidence with so many legendary looks. 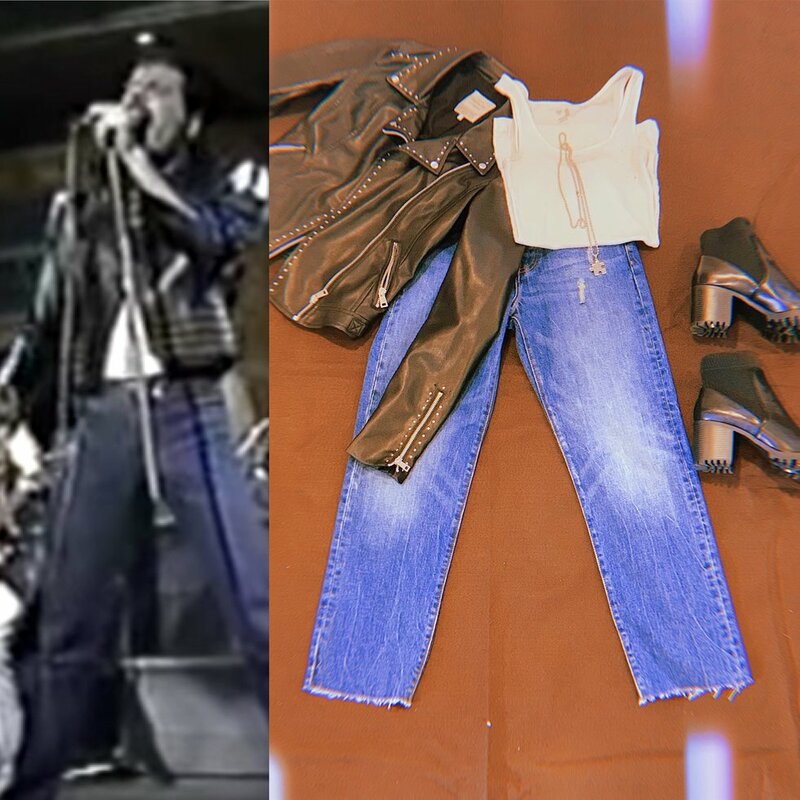 In an age where vintage is more ~in~ than ever, here are six outfit ideas inspired by the one-and-only Freddie Mercury. 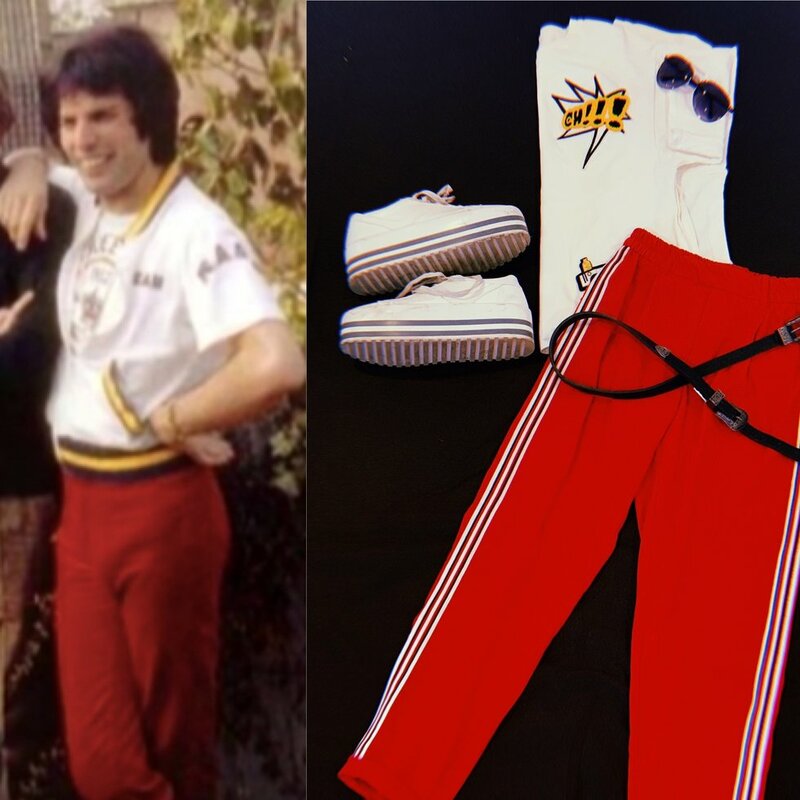 Inspired by one of Freddie Mercury's most iconic looks, this is perfect for a date night, girls night, or pretty much any social outing. 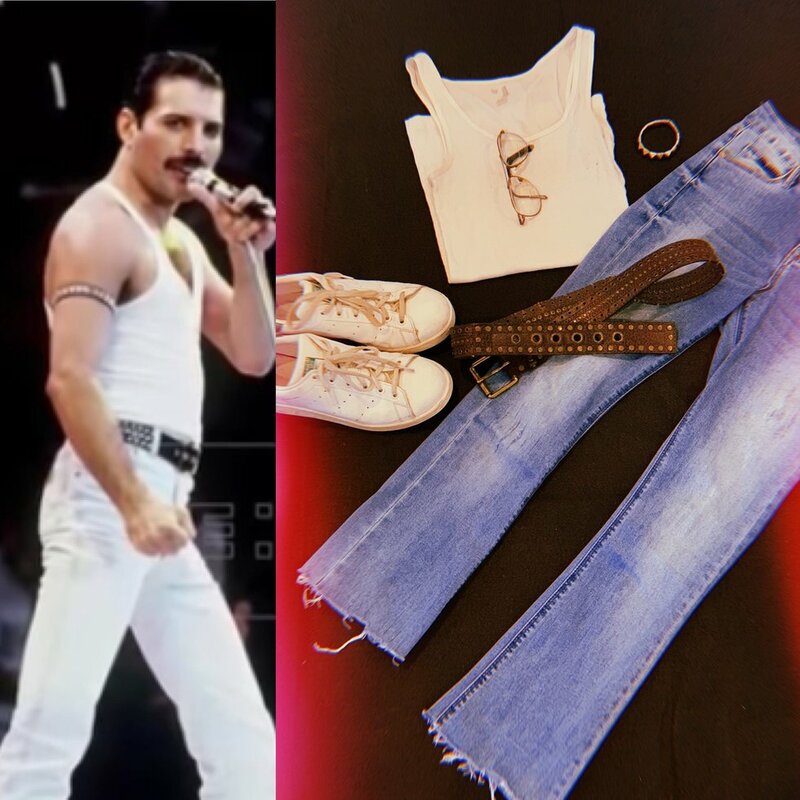 To put a twist on Mercury's original look, replace his loose-fit white pants with chic denim skinnies and accessorize with jewelry. Where to buy this outfit's highlighting pieces? 2. "These Are The Days Of Our Lives"
For a chic, everyday look, put together these colorful joggers and a loose graphic t-shirt. Modernize this look with a pair of platform sneakers and a belt. 3. "We Will Rock You"
You really can never go wrong with a classic rocker look, and who is better to draw inspo from than this rock icon. Keep it casual with bootcut cut-off denim and a white ribbed tank top, and finish it off with a studded leather jacket, heeled booties, and some silver bling. For an everyday look, get inspired by Mercury's classic work-day outfit. Really any denim can work, as long as you style it with a comfy-cute pair of sneakers, graphic tee, and accessories! I went with the vintage skinny scarf and leather vest, but it really works with anything. 5. "Lazing On A Sunday Afternoon"
if you have seen "Bohemian Rhapsody," this look is definitely already familiar. 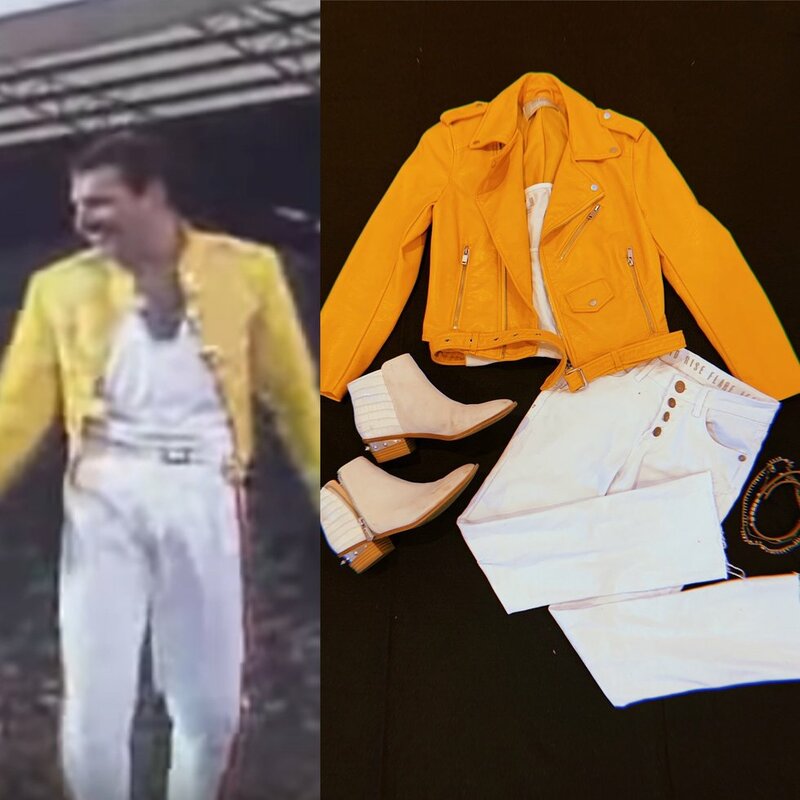 It is undoubtedly one of Mercury's most iconic outfits, worn for the worldwide Live Aid concert where Queen performed many of their greatest hits. This is so easy to put together and is perfect for a lazy weekend brunch. 6. "You're My Best Friend"
Last but not least, here is another casual look - ideal for a day with your best friend! This outfit might be the most open to interpretation because it works great with any jeans and tight-fitting t-shirt. Simply throw on a belt band to complete the look.